The Central Board of Jewish Communities in Greece has expressed “its dismay of the entire Greek Jewry” after an attack at a Jewish cemetery. Unidentified individuals carried out the act at Trikala, a city in central Greece located about 150 miles northwest of Athens. Smashing eight tombstones, including those of the local communal leader, the Central Board of Jewish Communities in Greece called on authorities to do everything it can to arrest the perpetrators, in a statement on Friday. It said: “We strongly condemn the vandal attack that once more occurred against the Jewish cemetery of Trikala. 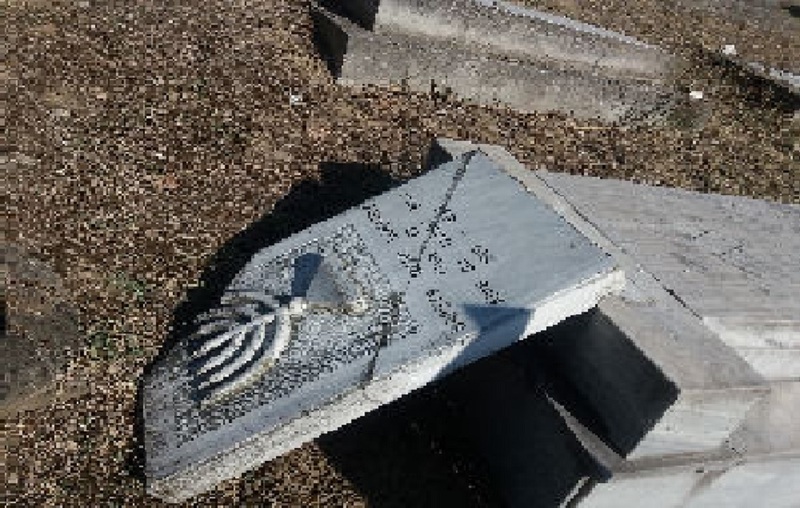 “More specifically, followers of racism and antisemitism vandalised and destroyed eight tombs and tombstones – among which the two graves of the parents of the President of the Jewish Community of Trikala. “Following the lawsuit against persons unknown, pressed by the Jewish Community of Trikala, the Central Board of Jewish Communities in Greece calls upon law enforcement authorities to take all necessary measures for the arrest of the perpetrators and the protection of the city’s Jewish cemetery, which – apart from its sacred nature – reflects the historic course of the Jewish presence in Trikala. Trikala was the scene of one of the Nazi force’s most thorough liquidations of any large Jewish community, with only 10 people surviving the Holocaust from a community of hundreds of members. Of those, several were rescued thanks to Princess Alice, the great-grandmother of Britain’s Prince William, who was living in the Athens region at the time. Before the war, the Community maintained three synagogues. The largest was used as a stable by the Germans. It was the only one which was still standing at the end of the war and functions to this day, according to the Jewish Museum of Greece. Today, the Community has about 40 members.